12:09 a.m. Routt County Sheriff’s Office deputies were called to a report of a suspicious incident in the 32500 block of Highlands Road. 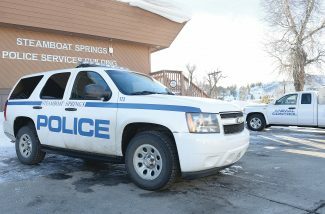 2:49 a.m. Steamboat Springs Police Department officers were called to a report of a man passed out on the sidewalk in the 10 block of Seventh Street. Officers woke the man up. 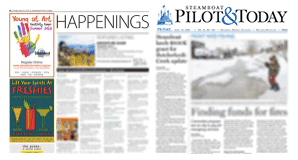 9:33 a.m. Steamboat Springs Fire Rescue firefighters responded to a report of a possible electrical fire at a business in Central Park Plaza after an employee reported a smoke smell. There was no fire. 10:12 a.m. Deputies were called to a report of criminal mischief in the 700 block of Dougherty Road. 11:29 a.m. Officers were called to an animal rescue in the 10 block of Spar Street. A guinea pig was stuck between two boulders in a yard. Officers removed the animal. 6:29 p.m. Oak Creek Fire Protection District firefighters responded to an unknown injury vehicle crash at Uncompahgre Road and Shoshone Way in Oak Creek. 6:14 p.m. Colorado State Patrol troopers arrested a person on suspicion of driving under the influence of drugs. The person also received a citation for not having license plates properly attached. 6:52 p.m. Officers received a report of a suspicious vehicle in the 400 block of Willet Heights Court. A homeowner noticed a car in his driveway on a security camera. It was the neighbor’s, and everything was okay. 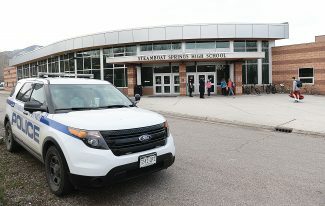 8:56 p.m. Steamboat firefighters responded to a reported trauma at Howelsen Ice Arena. 10:01 p.m. Officers received a report of a suspicious incident at a hotel in the 3200 block of South Lincoln Avenue. A car’s panic alarm was going off. Everything was okay.